Nusa Lembongan has fast advanced from the days where local street food and the famous 'Nasi Campur', 'Nasi Goreng' or 'Mie Goreng' were the only options. For those that simply cannot live without your avocado on sour dough you're in luck. 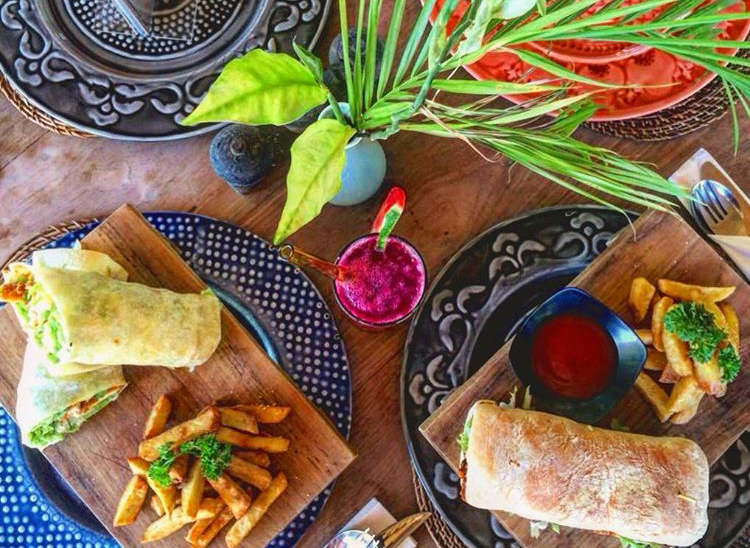 From the budget conscious, to the well travelled, to the fussy eaters, to those who prefer the finer things in life Lembongan has all to offer you. Many restaurants on Lembongan offer a free pick up / shuttle service. Simply ask our staff to call ahead and arrange your pickup time and table reservation. We recommend booking ahead during the busy seasons. 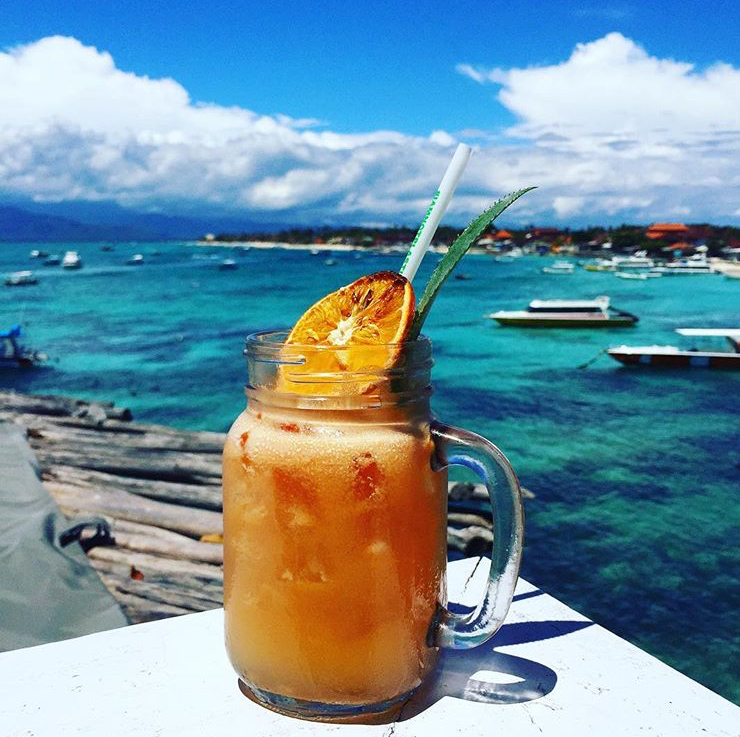 Theres plenty of things going on around Nusa Lembongan. You are never far from an open mic night, live band, or happy hour cocktail special. Here's a few places we recommend. Be sure to check them out during your stay. Breakfast at Villa Kasih is complimentary and prepared for you each day by our lovely staff. This can be served at any time for you, simply let the staff know what time you would like your breakfast and it will be waiting for you when you awake from your slumber. Right on the beach front Agus Shipwrecks is one of the first places you will find when you leave the villa. 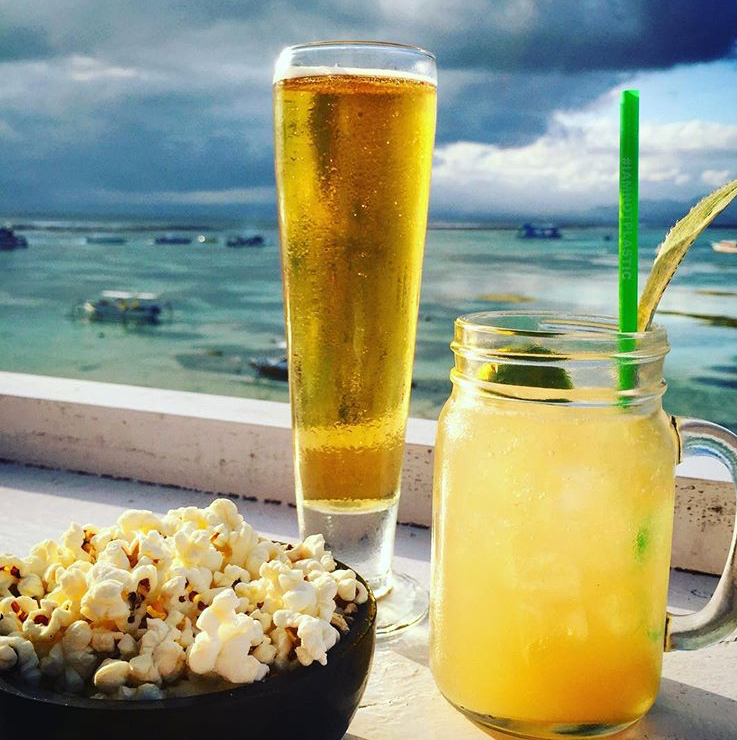 Ideal for a relaxed beach front sunset beer and family friendly dinner spot and spot of live music on various nights throughout the week. OHANA's is an idyllic picturesque brand new beach club located just footsteps from the villa. Absolute beach front, this has fast become a popular and much loved spot for lunch or dinner and a definite sunset cocktail venue just a short stroll from your front door. See their website for events: www.ohanas.co or to book yourself an beach front lounge for your sunset cocktail. The Beach Club at Sandy Bay is one if the islands long time favourites. Set in the fabulous Sandy Bay, watch the waves crash at Devils tear, the dolphins cruise past the point and a great spot for sunset cocktails. Well known for its fabulous cliff front location overlooking the Magestic Mount Agung and Lembongan's turquoise waters. The Deck is known for its 'Sunday sunset DJ sessions' & newly introduced 'unplugged Wednesdays'*. (*seasonal) Be sure to head down for these sunset cocktail sessions and why not head upstairs to 'Muntigs' for some sit down fine style dining and delicious cuisine. One of our favourite lunch time or dinner spots. This little oasis just off the main street is a great pitstop for a delicious healthy wrap, home-made pizzas, delicious indian inspired Samosa and fresh San Choy Bau. Wash it all down with a refreshing smoothies or killer cocktai. Dubbed ‘the yogi cafe’ this beach front cafe just footsteps down the beach from the villa is the spot to go for some healthy clean eating and a really good coffee. Whether its a cleansing juice, ‘healthy’ cake or light and tasty lunch be sure to give it a try. The well known Indiana Kenanga is renowned for its mouth watering menu created by Michelin star french chef who. The price reflects the quality and is certainly worth the treat during your visit. As Villa Kasih is nestled between the accomodation and beach front restaurant of Indiana Kenanga you won’t have far to roll home with a belly full of duck and cocktails. Bon apetite!